St Andrews. This privately owned luxury home is set on a third of an acre with extensively landscaped gardens and mature palm trees. It has been professionally furnished and decorated to the highest of standards and is without a doubt amongst the most spectacular vacation homes that you will find anywhere in Orlando.Every detail in this home has been carefully chosen to provide luxury accommodation and we have endeavoured to provide everything that you, your family and friends will ever need to make your vacation the most memorable ever. 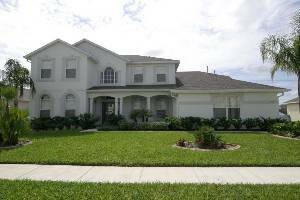 Located in the prestigious gated community of Formosa Gardens Estate, Kissimmee, this villa is surrounded by large executive homes and wide boulevards. 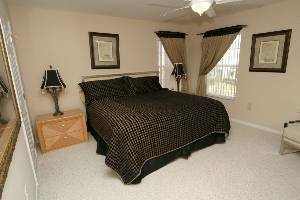 It offers private, spacious and opulent accommodation in Orlando’s most exclusive rental community. Formosa Gardens Estate is ideally located just off Hwy 192 just 2 miles from Disney and only 2 minutes from Formosa Shopping Village, which boasts a number of excellent family restaurants, shops and a walk in clinic. Designed with families in mind, this fabulous 7 Bed/6 Bath Grand Executive Villa with Games Room can easily accommodate 16 guests in absolute comfort. Fully air conditioned and with the added luxury of ceiling fans in all rooms the property offers total privacy and space to relax and enjoy your holiday of a lifetime. Set in a third of an acre with extensively landscaped gardens and mature palm trees, this spacious (4.000 sq. ft.) luxury home has been professionally furnished and decorated to the highest of standards and enjoys many upgraded facilities including tiling throughout the living area and a beautiful fitted kitchen with top quality Corian worktops. At the rear of the property the south facing 38'x16' heated pool with its extra large spa enjoys the sun all day. Surrounding the pool is a massive deck area equipped with a gas barbecue grill, a covered lanai, and plenty of lounge chairs. The deck area also has a table and chairs for outdoor dining. Thank you so much for the use of your beautiful home. We had 5 families down for a Disney trip, and had a Magical stay. The pool was a huge hit, and all the appliances looked brand new in the kitchen! The beds were incredible, and there was enough room for everyone to spread out. The kids loved the game room and the bunk beds. The parents loved being able to sit up and chat into the night. We have stayed at homes in Emerald Island before, and really liked yours better. Thank you again! parks made access very quick and easy. Well what can I say about St.Andrews…..
wall to wall sunshine most of the time. rested for the coming day ahead. 'Remember the magic' is a phrase we hear at the Disney parks. For the Cunninghams this phrase should also apply to St. Andrews Villa! What a magical time we had. The villa was fabulous and so close to the Disney parks. This is our 9th villa rented over the years and by far the best and most luxurious. 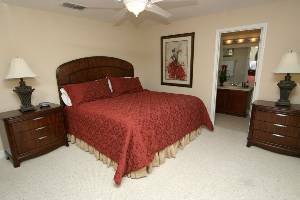 We would highly recommend the villa to anyone thinking about renting in the Kissimmee area and will be in contact again in the future to request use again. Thank you again for permitting us to use your home abroad. Thanks again Franco and Audrey for providing a beautiful home for our vacation / family reunion. The house was perfect for our group. We found it very clean and well maintained. The kids loved the pool area. October 3, 2009 Reviewer: Ron & Pat Longanecker From: Palos Heights Il. Want to tell you what a great time our family of 14 had at your place 9/18-9/26-09. The house was so clean & comfortable that we felt as we were at home our entire stay. At 92 degrees all week the pool was a welcome sight every day and well enjoyed.If we ever come back that way I would definetly stay at your place again and would highly reccommend it to anyone else that might be interested. One more time I would like to thank you for all your quik responses to any of my inquiries, It was a pleasure booking our vacation with you. Our family of 11 had a fantastic stay in St Andrews. It surpassed my expectations - very well maintained and supplied. Bed linens were fabulous, kitchen was great!!! My family and I recently spent three weeks in St Andrews Villa.We had a wonderful time, the villa is equipped with everything you could possibly need and the beds are so comfortable, just what you need after a tiring day at the parks. 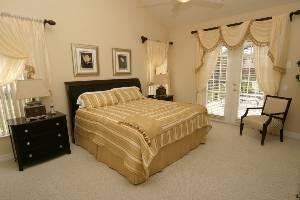 The area and location is perfect, convenient for all local amenities and disney parks. Great!!! There are so many wonderful things to say about this amazing vacation home. Myself and 15 others stayed for a week in this magnificent home and enjoyed every minute. We never once felt cramped, inconvenieced or "homesick" during our stay. This home has everything you will need and then some. We can not wait to plan our next Disney trip, because we know we will stay here. Congrats to the Margiotta's , you could not have made it any easier. November 19, 2008 Reviewer: Myles Doyle From: Wexford, Ireland. Myself and eight other members of my family recently spent 7 days in this beautiful house. Each and very one of us can't speak highly enough of the place. It is a lovely neighbourhood and i would have no hesitation in recommending it to any of my friends. We drove 27hrs to get to the St Andrews and was well worth it. The place is above and beyond our expectations. Their was 13 of altogether and we were never in anyones way as the house is so spacious. We were also in awe of all the supplies that were there. It just made our lives so easy as no worries. It was also located in a nice quiet community with no worries and very close to all parks-it was amazing. Good times and memories were had with family and we are recommending it to all our Canadian friends. We spent 10 days at St Andrews and thoroughly enjoyed every minute of it. The house is furnished to a very high standard and is immaculately presented. Formosa Gardens as a nieghbourhood is amazing - very clean and safe and it is obvious the pride the residents take in their homes. I couldn't recommend this home more - we will absolutely be back! We stayed at this home over Christmas/New Years 2006 and loved it! 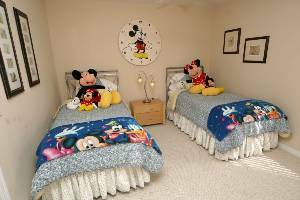 The beds were so comfortable, the house was immaculate, had everything we needed and we were so close to Disney. The owners were a dream to work with as well. just a wee message to let you know that we arrived home on Saturday after having spent 3 glorious weeks in St Andrews villa. All of our party agreed that it was the best villa we have stayed in so far. It was luxurious but comfortable and the boys (young & old !) made great use of the swimming pool & the games room and the ladies made great use of the spa. ( The added bonus was that the weather was unseasonably hot for the time of year!). The villa was very well equipped for such a large party as ours. The management company were great any time we had to phone them. Thanks again for one of the most enjoyable holidays so far - hopefully when we return to Florida you'll still be renting out your villa!! Fiona & Jim Aitcheson and friends. We had a wonderful time, and would definitely like to return in the future! The home is beautiful, spacious and comfortable. We loved that the kitchen was soo well-stocked with everything we needed. We all slept soundly on the VERY comfortable beds. Having the high-speed internet access was a life-saver for work. The kids swam and played pool everyday. Getting to and from the parks was so quick and easy (much easier than we even imagined). It was SO nice to come home everyday to such comfort after a tiring day at Disney. Thank you for sharing your home with us! We hope to return on our next visit! St Andrews was an amazing home! My family enjoyed our stay 500%. The home was sparkling clean, elegantly decorated and the pool was tropical! If you are looking to vacation in style and luxury than look no further. We stayed in this wonderful house over Christmas and New Years 2005. We enjoyed our stay and felt like we were at home. There were 5 different families and there was plenty of room for all of us to basically do what we wanted to do. I would definately suggest this home to others. We stayed for 2 weeks in May 05 and after a very stressful trip to get there we couldn't believe our eyes (or luck!) when we pulled up in the drive. I'll never forget the feeling when we all stood in the doorway looking around with our jaws on the floor, it raised everyone’s spirits, it was breath taking. We were getting married in Florida and this just made it 100 times better than we thought it was going to be. All the rooms are luxurious and large, we didn't have many kids so this place was perfect as 5 of the rooms were adult and the 2 kids rooms weren't too over the top like some. The hot tub and pool are huge!! We stayed in the main room and we had a door to the pool, 42" plasma, the largest bed I've ever seen, an en-suite larger than my dining room and a walk in wardrobe. WOW! The owners were very helpful, they gave lots of advice before the holiday, gave us coins to get through the tolls and left food and drink and a cold, bubbly wedding present in the fridge. The management was very prompt when we asked for gas for the BBQ and were also very helpful. As this was our wedding I spent a lot of time looking at villas before I made my final decision and I definitely made the right one. If you’re planning a stay in a villa then your search is over, this is the place to stay, trust me! It’s amazing, if you want anymore advice I would be happy for you to contact me by email. The title of this St. Andrews' property is "Stunningly Beautiful-Grand Executive Villa"...my family and I, could not agree more with that. This home is absolutely a "home" away from "home". We, (party of 13 - ages ranging from 2 1/2 to 63 years old) had a wonderful, fun, cozy, warm, and quality time during the 10 days we stayed at this property. Mr. & Mrs. Margiotta, you have done and are doing an oustanding job keeping up your property equiped with all the amenities needed for a great family vacation stay. It was obvious that you thought of every detail when furnishing and decorating your property. By the way, the customer service from the property management company was prompt, friendly and excellent. This was our first stay, and we look forward for future stays. We definitely would recommend this home to anyone. We rated this home a "4 stars" home. 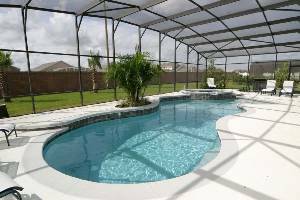 WE HIGHLY RECOMMEND THIS HOME FOR YOUR FLORIDA VACATION. WE HAVE STAYED IN FORMOSA GARDENS SEVERAL TIMES BEFORE BUT THIS HOME WAS IN A CATEGORY ALL ITS OWN. THE HOME IS ABSOLUTELY GORGEOUS. THEY HAVE SPARED NO EXPENSE TO MAKING YOU FEEL COMFORTABLE... FROM THE FINE LINENS TO THE PLASMA TV'S. EVERY DETAIL HAS BEEN THOUGHT OF. THE POOL AREA IS RELAXING AND BEAUTIFUL(BEACH TOWELS, FLOATIES FOR THE KIDS, LOTS OF LOUNGERS AND SEATING FOR OUTDOOR BBQ'S). WE HAD A MARVELOUS TIME. THE OWNERS, FRANCO AND AUDREY ARE EXTREMELY KIND AND HELPFUL. 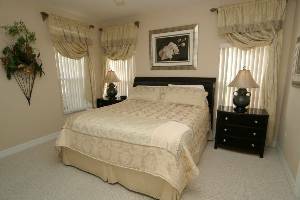 WE RECOMMEND THIS HOME TO OUR FRIENDS AND FAMILY AND WE LOOK FORWARD TO MANY FUTURE RETURNS! We stayed at the house over Christmas and New Year 2004/5. We had looked at a number of properties before settling on St Andrews. It looked stunning in the photos but they really cannot do it justice. It was outstandingly well decorated,presented and furnished - we even had our own Christmas tree courtesy of Franco and Audrey, the owners. They were incredibly helpful answering our questions about the area, restaurants and so on. When we do go back, their house will definitely be at the top of the list. In our opinion St Andrews makes it difficult for the rest. Cancellations and Refunds: The client may cancel the holiday booked at any time after it has been confirmed. Cancellation must be in writing. We reserve the right to cancel the booking If the balance of the holiday is not paid by the prescribed time. In the event of the client cancelling the booking with more than 60 days to departure, the deposit will be forfeited. In the event of the client cancelling the booking within 59 days to 31 days of departure the cancellation charge will be 50% of the total rental In the event of the client cancelling the booking with 30 days or less of departure the cancellation charge will be 100% of the rental.